Schedule your next appointment online through your Patient Portal — it’s fast and easy! We welcome walk-in appointments during afternoon hours. "Caitlyn Frantz and her superb team of caregivers and staff ALWAYS treat me with the absolute best medical and personal care. I have been a patient for over 30 years and they respect my privacy, personal health issues, and understand my special needs." "The provider and his medical team treat me fantastically every visit and call. They’re very careful to make sure I get the very best treatment! I love it there!" Welcome to Northeast Family Practice, where board certified physicians and a dedicated staff provide complete family health and wellness services for patients of all ages. Here you'll find • Compassionate care for every member of your family • Careful attention and time given to each patient • Consideration of all factors that impact health and well-being. New patients are always welcome; major insurance plans are accepted. Video visits with your provider available now! Skip the waiting room — visit your doctor over video! • Schedule appointment — Schedule your video visit directly with the front desk staff. • Confirm your info — Look out for an email or text and log into Providence Medical Group/Chiron Health to confirm your info using your favorite device. • See your doctor — Log in 15 minutes before your video visit and be prepared with questions for your doctor. • Wi-Fi or a wired connection is strongly preferred for a great video visit experience. • Hold tight! Sometimes we run a few minutes behind. Why see my doctor over video? 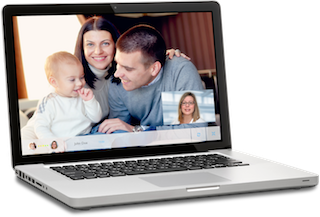 Video visits allow you to conveniently meet with your doctor over secure video, from the location of your choice. This lets you skip the waiting room, and saves you a trip to the doctor’s office. What do I need for my video visit? You can use a computer, tablet, or a smartphone such as an iPhone, iPad, or Android device. 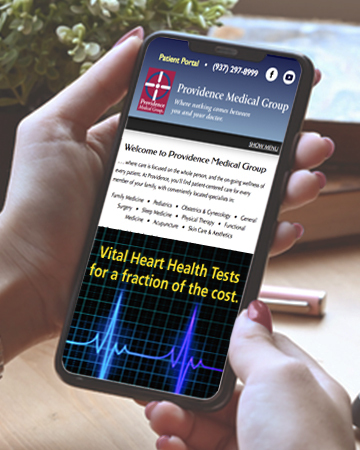 Search for 'Providence Medical TeleMedicine' in the app store on your mobile device, or click here from your computer. You’ll also need a valid credit card. How much will my video visit cost? Video visits are typically covered by your regular health insurance — you’ll enter your credit card information before the appointment and will be charged the same co-pay as an in-person visit. Is my video visit secure? Yes! The video technology uses ban-grade encryption. However, make sure you find a quiet, private place in your home or office for your appointment. To request your Video Appointment please Click Here, or call our office at (937) 233-7141. 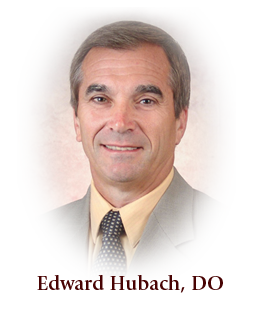 Board Certified in family practice, Dr. Edward Hubach has been serving area families for over 35 years. He received his degree from the Philadelphia College of Osteopathic Medicine, and performed his internship locally at Grandview Hospital and Medical Center. He maintains hospital affiliations with Kettering Medical Center, Miami Valley Hospital, Grandview Hospital and Medical Center, Southview Hospital, and Sycamore Hospital. Dr. Hubach is the past president of Providence Medical Group, and currently serves on the physician staff of the Providence Health Partners Clinical Research Center. 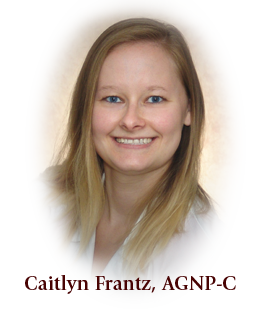 The newest addition to the Northeast Family Practice professional staff, Caitlyn Frantz, Certified Nurse Practitioner, has extensive clinical experience in primary care, with a special interest in fitness and nutrition — key factors in on-going wellness and illness prevention. Caitlyn provides complete clinical care, including treatment of illness and injuries, routine check-ups, disease prevention, health counseling and annual wellness visits. In addition, she has particular experience in gerontology, gastroenterology and cardiology. 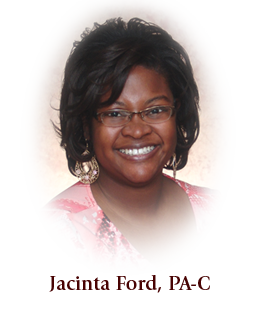 Jacinta Ford, PA-C, provides primary care to our patients, and is a valuable addition to our care team. As a Certified Physician Assistant, Jacinta performs medical histories, conducts physical exams, diagnoses and treats many illnesses, counsels on preventive care and assists our doctors in many other important ways. 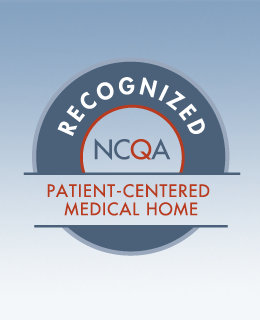 Northeast Family Practice is recognized by the NCQA as meeting PCMH 2014 Patient-Centered Medical Home standards. If you need to reach your provider after our office is closed, please call (937) 233-7141. Non-emergent calls will be returned within one to two business days. At Northeast Family Practice, our goal is to continue to improve the health and wellness of all our patients. Patients 65 years of age or older who received an influenza vaccination during the measurement period. Measure identifies Medicare members 65 years of age or older who have ever received a pneumococcal vaccination. Patients 18 to 59 years of age with hypertension whose blood pressure is less than 140/90. If you are at-risk for a chronic or other potentially harmful condition, please make sure you consult with your health care provider to set up a test or screening schedule to monitor your progress! Vital health screenings! Find out below the important preventive services for people just like you. Then, check back with us to discuss which are the most important steps to help assure your health and wellness — it's fast and easy!